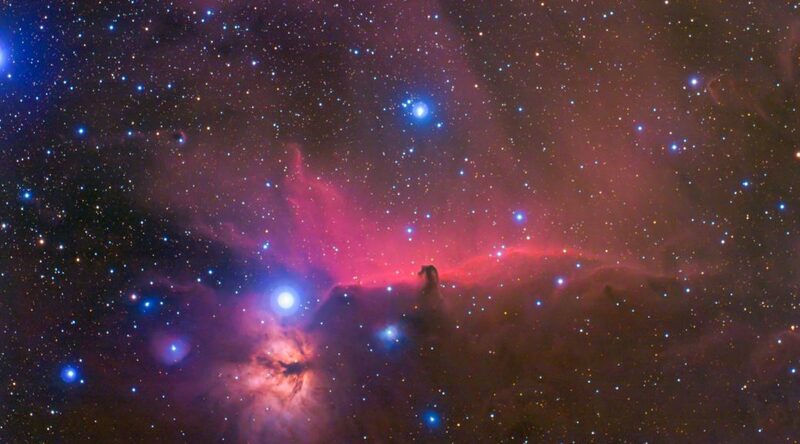 IC 434, The Horsehead Nebula, is a horse-shaped dense molecular cloud (Barnard 33) blocking light from a bright emission nebula. 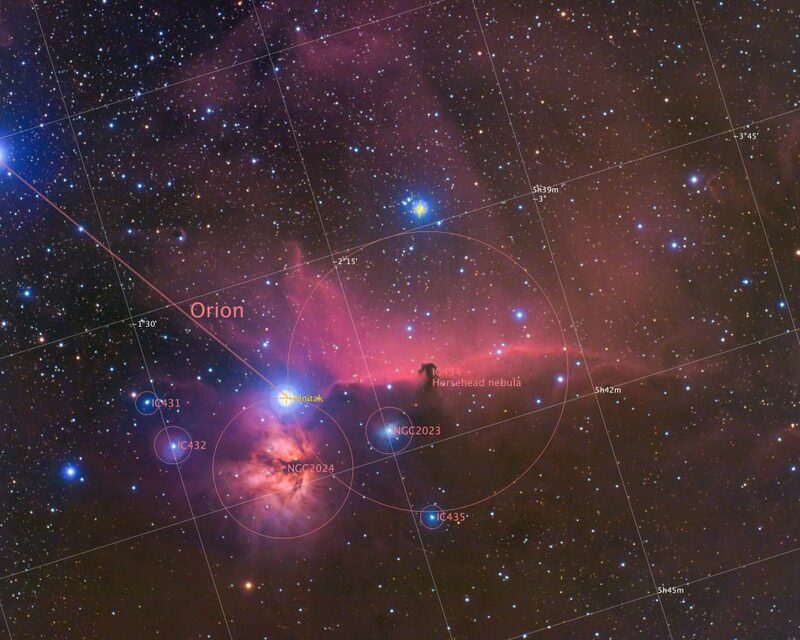 A very prominent emission nebula called as Flame Nebula (NGC 2024) is at the left of the Horsehead Nebula. 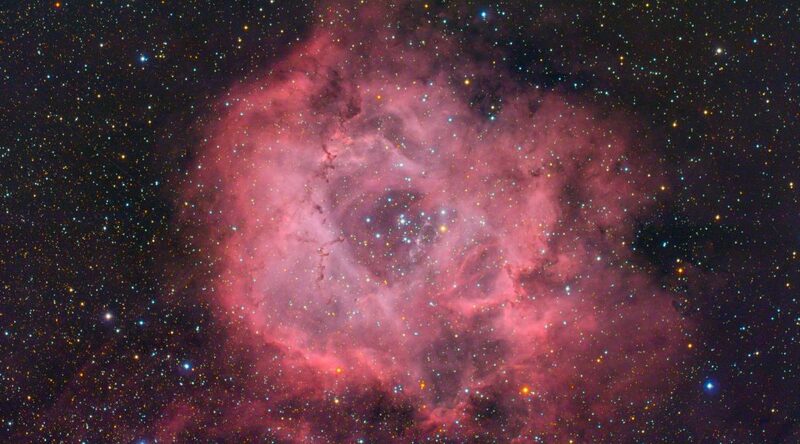 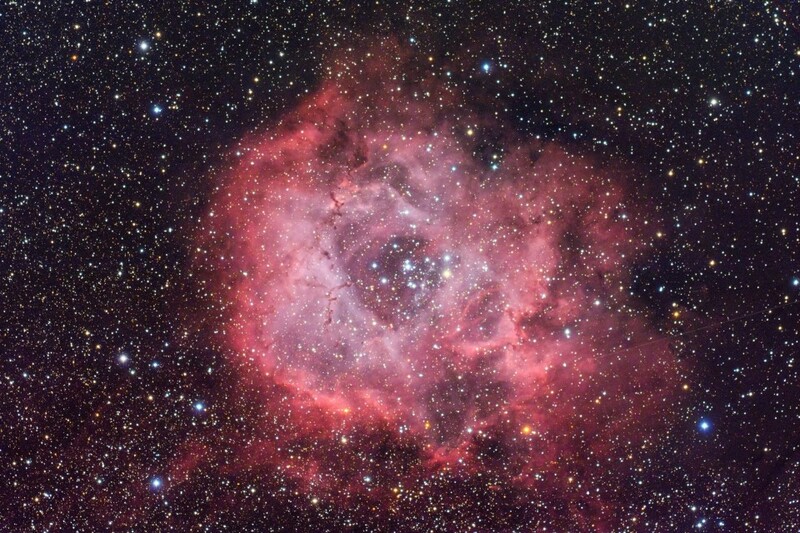 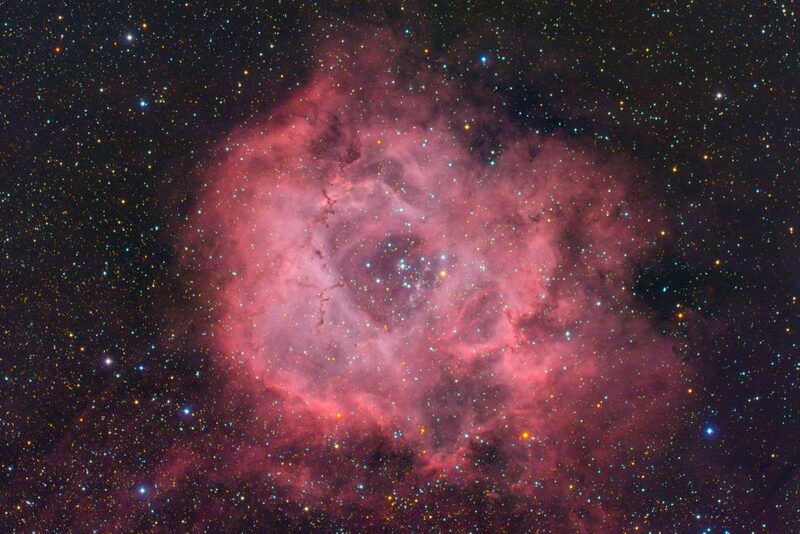 Rosette nebula is one of the most prominent nebula in Winter sky. 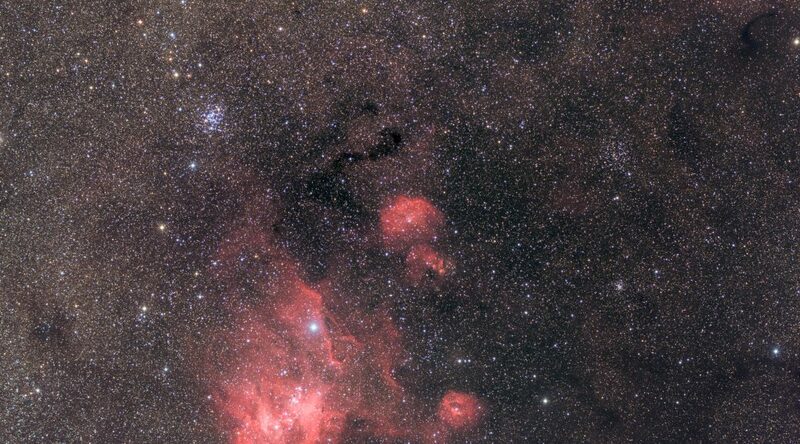 The cluster at the center can be easily found through binoculars, or telescopes. 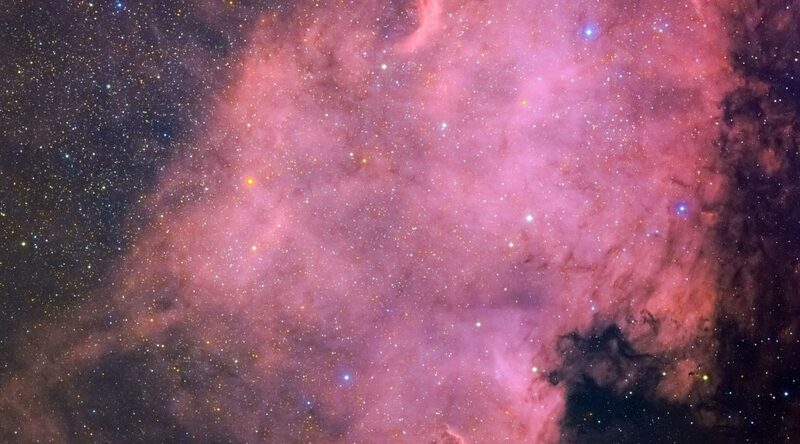 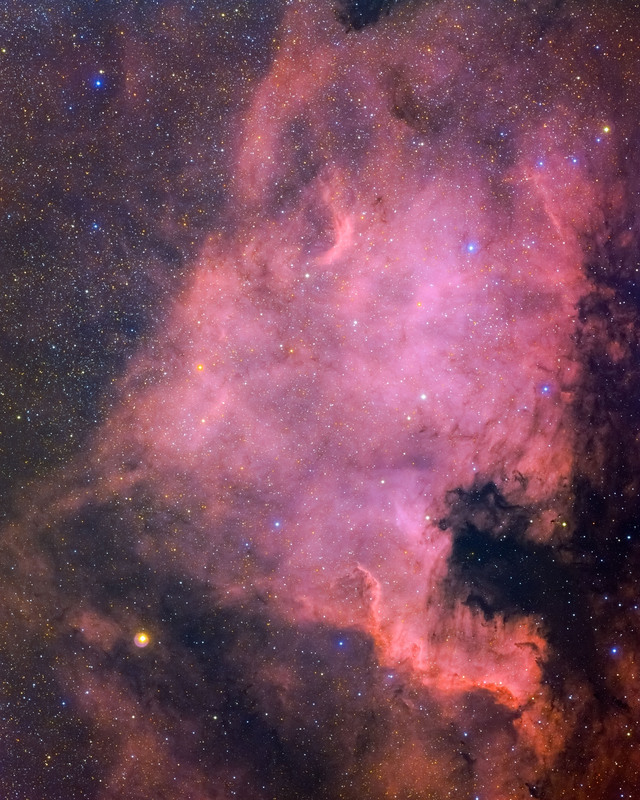 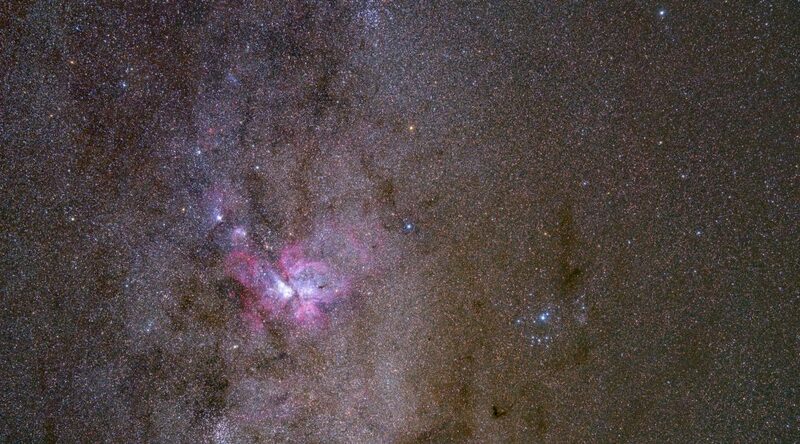 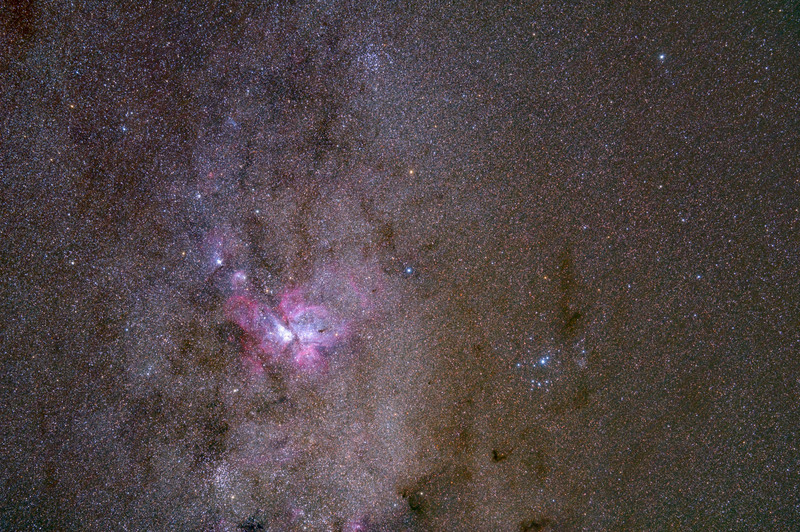 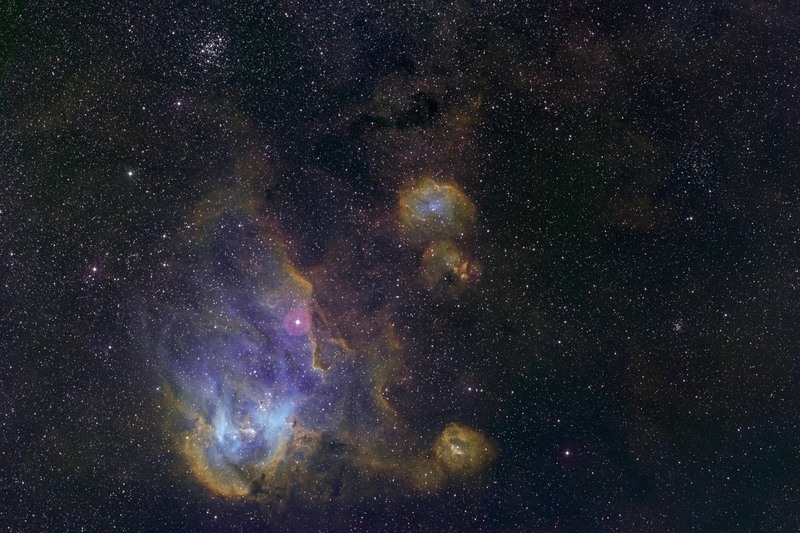 North America Nebula – NGC 7000 – A wide and very-bright nebula in the constellation Cygnus. 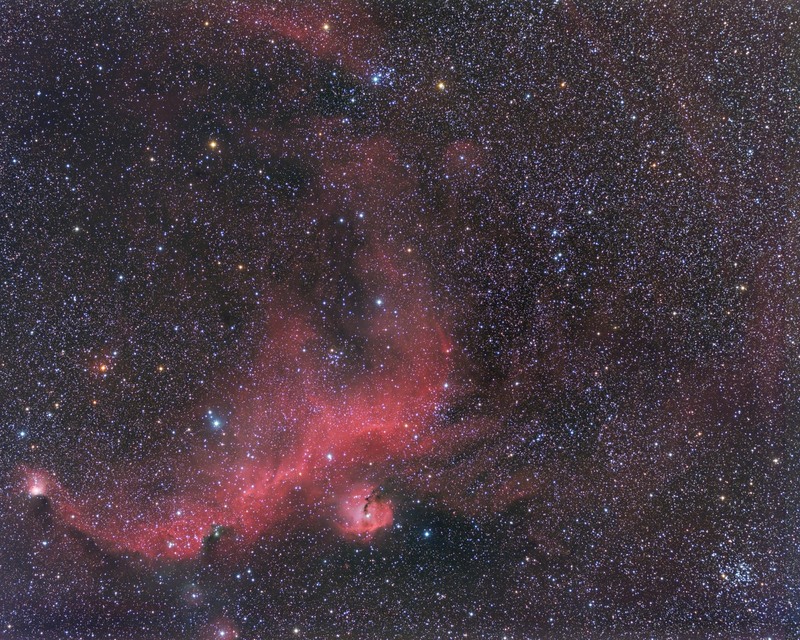 Published onto AAPOD² on 2018-08-29! 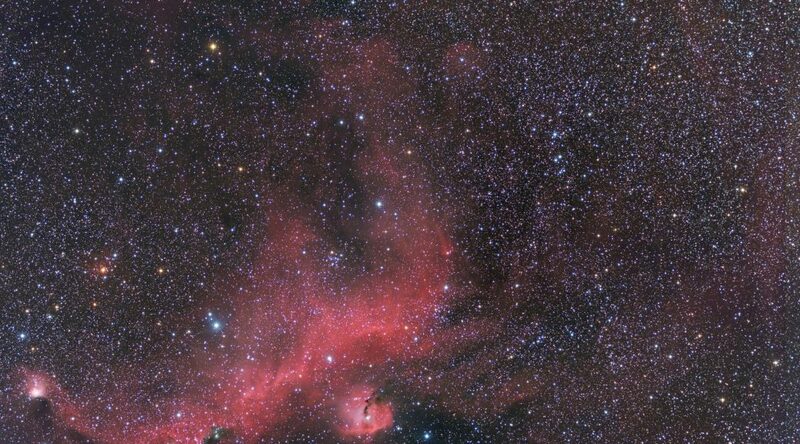 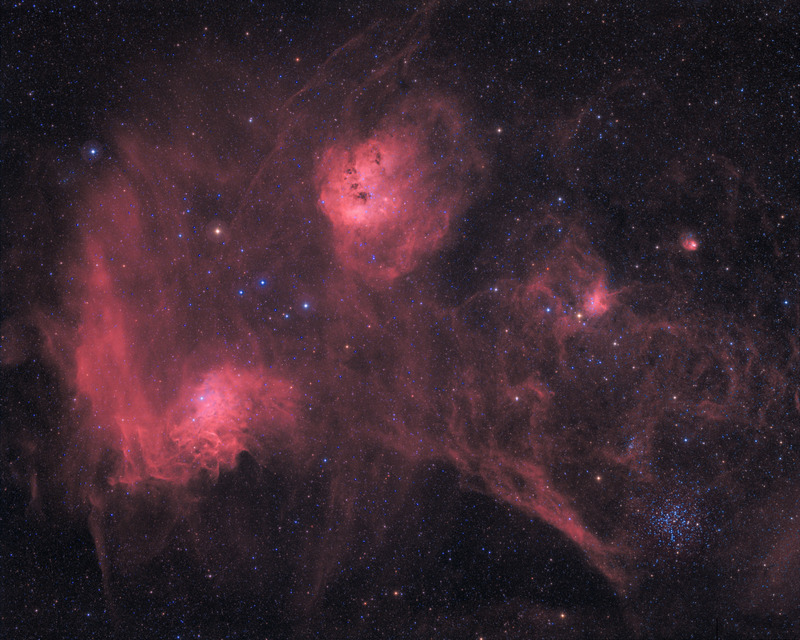 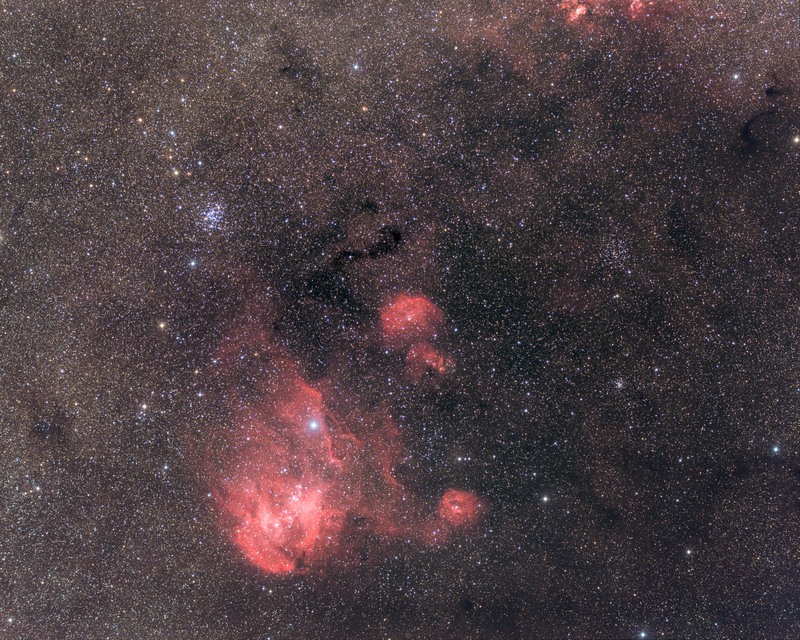 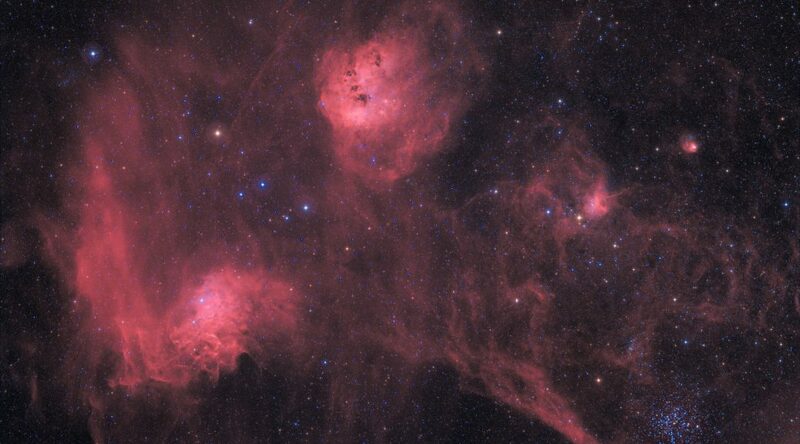 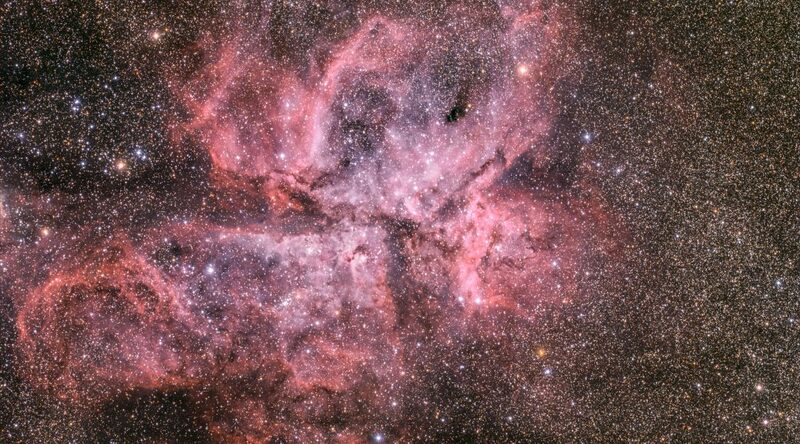 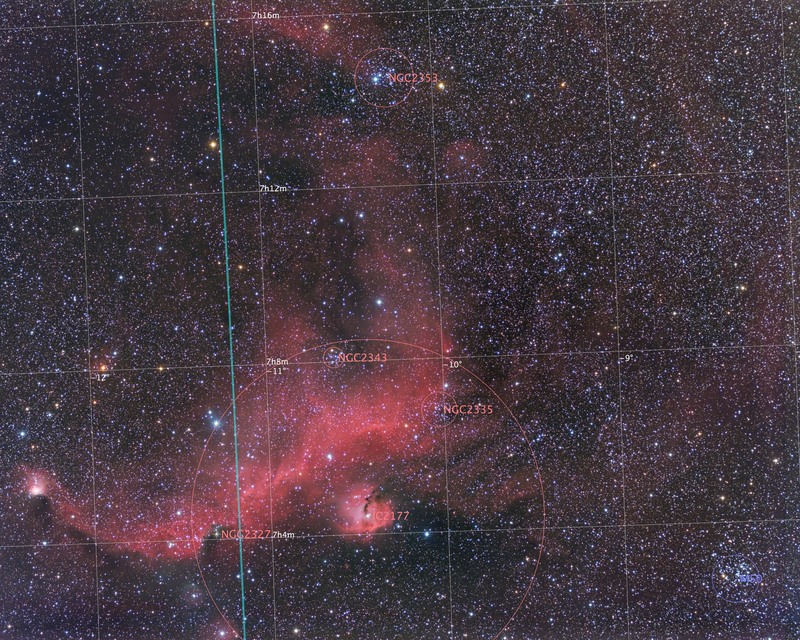 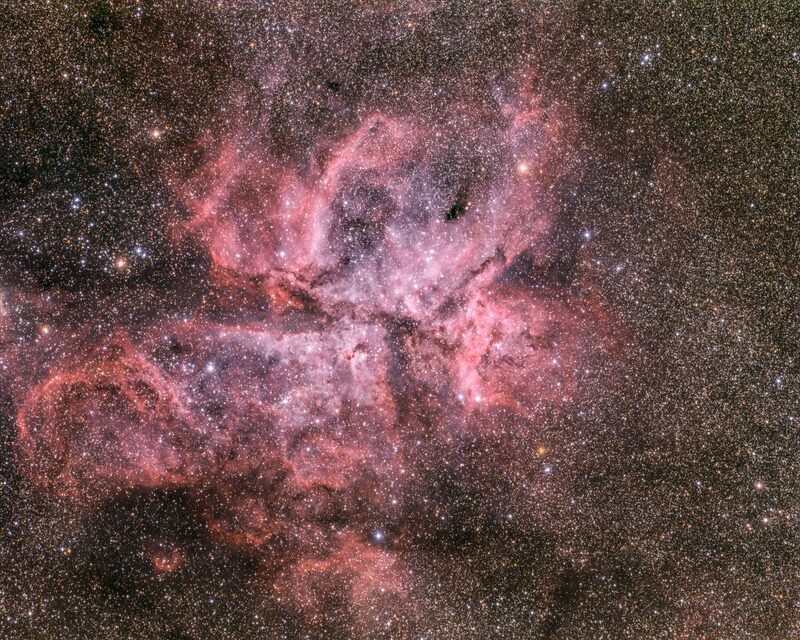 Seagull Nebula, IC 2177, is an HII region near Sirius, the brightest star in the night sky. 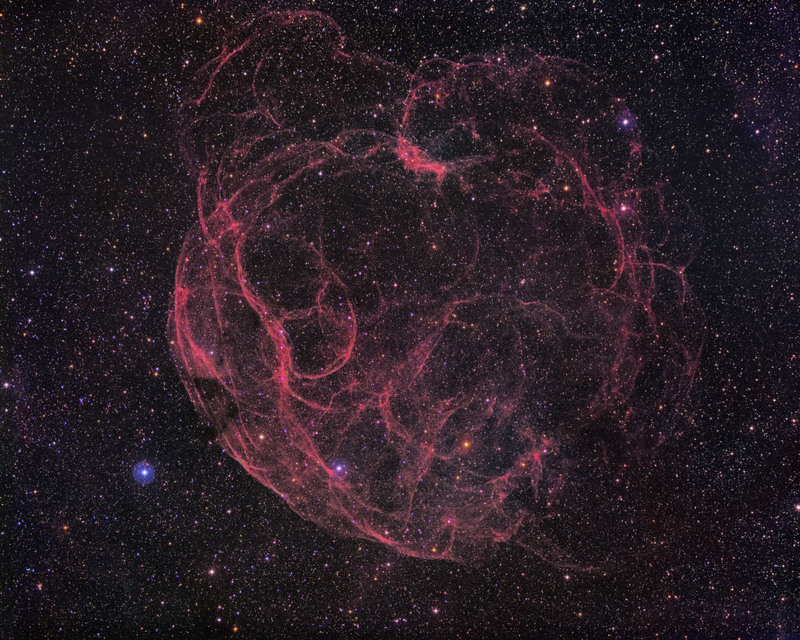 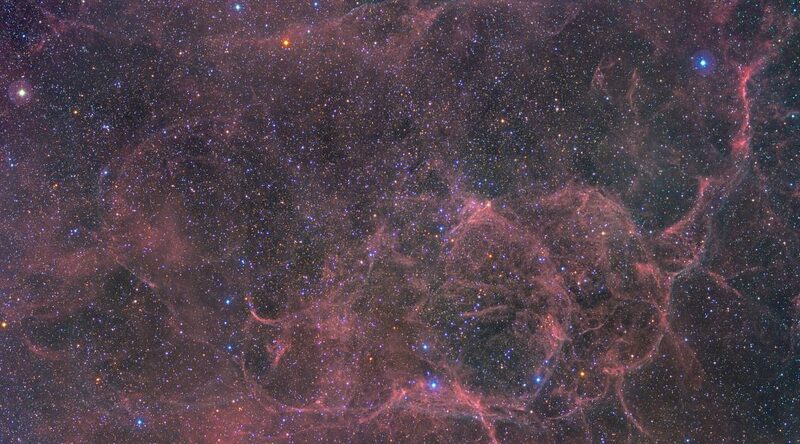 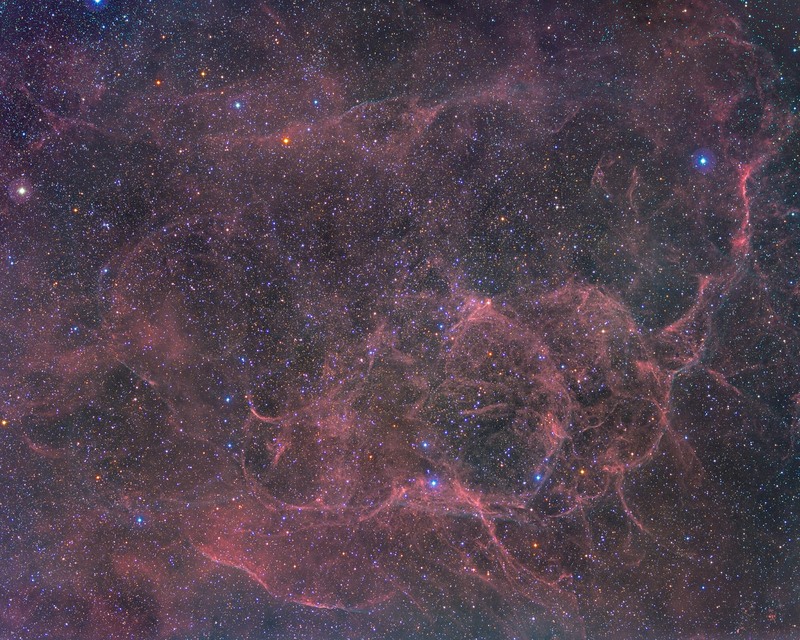 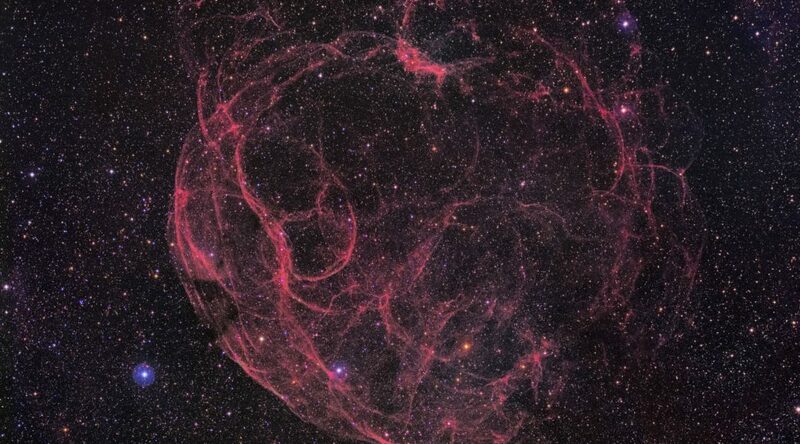 Simeis 147 – Also known as The Spaghetti Nebula, an SNR in constellation Taurus.